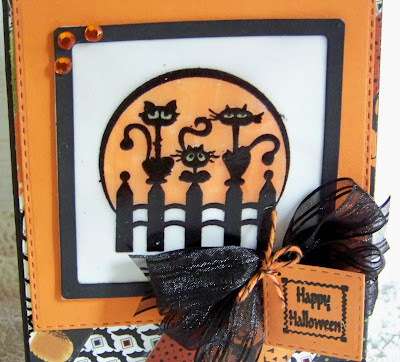 The way the months are flying by it will be Halloween before we know it! 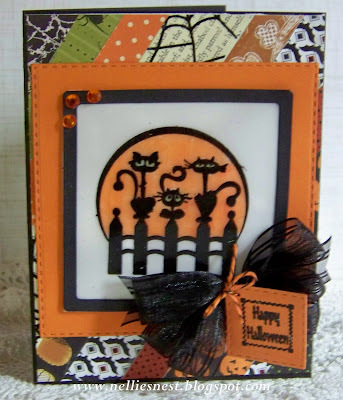 I love to make Halloween cards! 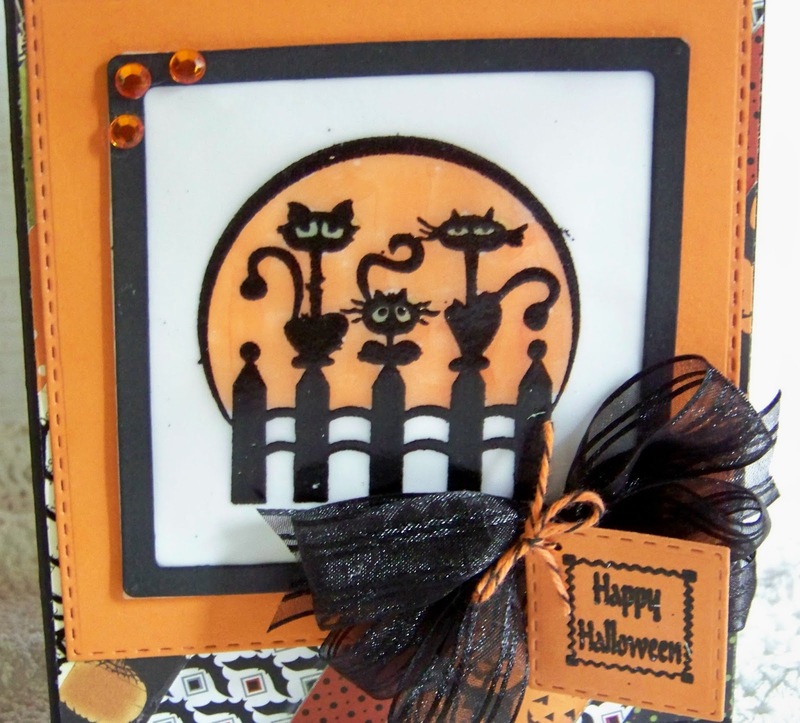 there are a ton of Halloween dies in the Dies R Us store. and be amazed at what comes up! cut in strips and adhered down on card stock. I created the focal point for my card. The sentiment is framed in black with Shaker Square Frames by Memory Box. These two dies are made for each other and work extremely well together! and have been getting quite a nice collection of them! They cut perfect every time...love that! to check often as there are always new ones added! A bow, a tag and a few gems were added to finish! Make sure to visit us here Monday - Friday for all the DT inspiration. It is a wonderful place to see the latest dies in use! 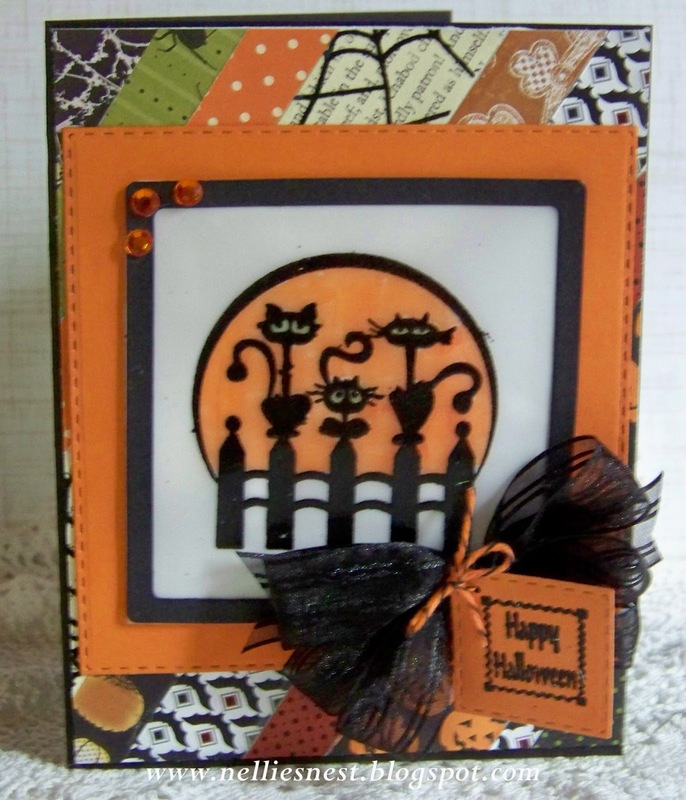 Pop on over to our Dies R Us challenge blog as well. of a $10 credit to the store! !